Autumn Hedgehog Cushion PATTERN. 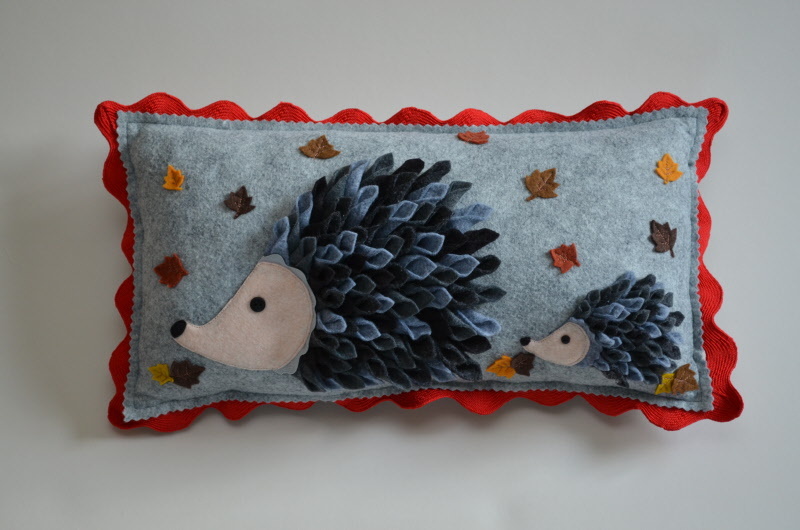 Designed exclusively by Gail Penberthy for our debut on Hochanda a stunning hedgehog cushion is made entirely out of wool felt. This super project gives you all of the instructions but does not include the cushion pad. The cushion measures 18 x 10 inches. As featured on the Daisy Chain Designs Show, Hochanda, February 5th 2017.